Co-creation is all the rage lately, but it can amount to little more than focus groups after decisions have been made. 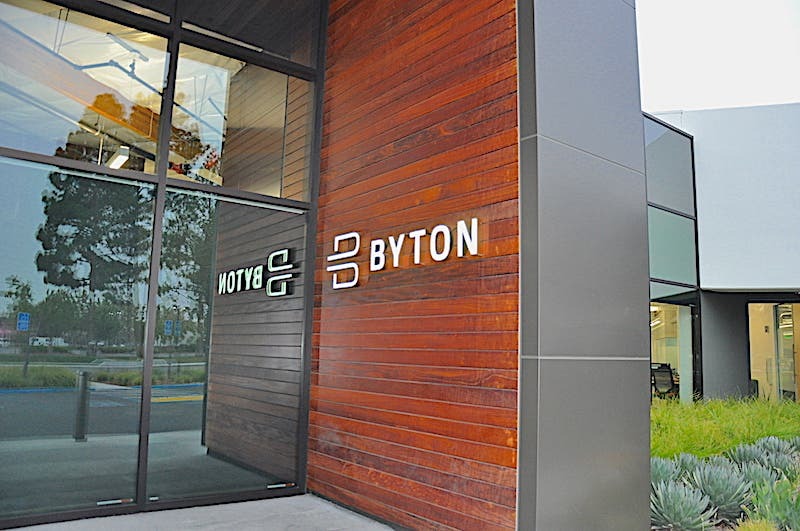 In our ongoing Byton series, the company invited us to its co-creation event. This showed how the green mobility global startup is using early input to catch potential problems. The first time I heard the term co-creation, I wasn’t sure if it was a new holistic term or some trendy fad designed to get people excited. What’s not to like about a word like co-creation? Who doesn’t want to co-create, anyway? I went to the Byton event without research to see how the startup is using it. I was pleasantly surprised to see another long-time friendly journalist face in the group. But that was it. The rest were technology influencers, designers, photographers, and enthusiasts. The surprising thing is that Byton is very open and transparent by inviting everyone to chime in. This is rarely the case in the automotive world. Focus groups are common, but they are often used to fine-tune marketing after final decisions are already made. Byton continues to secure funds and develop autonomous technology in-house by hiring a top-notch security team that works together with its artificial intelligence (AI) team, themselves working closely with designers and automotive experts. Everyone mixes and mingles, creating a sharing attitude. The co-creation event focused on electric vehicles (EV), autonomous vehicles (AV), connectivity, and and ridesharing — the four pillars on which the startup feels it is leading. By seeking input from potential clients and enthusiasts, Byton hopes to shorten the design and production of vehicles from 5 to 7 years down to 3 to 5 years. And it’s on target to meet its aims with an open and flexible business model that is agile enough to meet future needs. It does this by taking input early into the design timeframe. Security is finally a big deal today in the automotive industry, much more so than in the past decade. My talks and soon-to-be-published interviews with Abe Chen, Vice President of Security at Byton, show the company is serious about this. Abe told me security is an integral part of the early design work on both M-Byte and K-Byte as well as the Byton user experience. It is not something added later. Although we can’t share the specifics of this co-creation event, we did discuss the different perceptions around security. We also talked about how Byton is making sure security is an integral part of everything it does. A positive user experience means balancing security and convenience. Questions about what type of security should be used, when and where, as well as more complex and technical systems were discussed. There seems to be a genuine concern around how comfortable people are with security. It’s one thing to put on an act, it’s another to act on it. Startups are extremely nimble due to their relatively small size but mostly because they have to be. One bad decision and the startup is finished. Traditional companies can afford a few mistakes, but as we’re seeing today, it can only go so far until the public loses interest. Byton seems to take data security seriously. “Where does your data become someone else’s?” was one of the topic discussed. How is the data hosted? Where and how much do you want to reveal? In a social media world where our data is sold, traded, and used in opaque ways, these are some of my biggest pet peeves. You’d think the biggest challenge to mobility startups are carmakers, but it isn’t necessarily so any longer. The bigger challenge they face is how to place themselves in front of the digital giants that bully our data security. Put in other words, we use Google, Amazon, Apple, and a myriad of apps daily for our mobility needs. But how much do we know where the data is hosted, and how is it secured? Security breaches happen on a monthly basis, sometimes without a peep from the media and even less concern from users. Modern mobility providers understand that the mobility experience expected from users means a seamless digital experience. But this raises many security concerns — from how much information autonomous vehicles and smart cities will pick up from pedestrians, to who stores personal information and where (onboard and outside)? My, what an entangled web we weave. The more I dig into startups like Byton, the more I like how they are disrupting carmaking. Byton’s co-creation is a smart implementation of how any company should rely on intelligent user input before final decisions are made.